Every organization, as small or insignificant as they may be, has a brand – even my aunt’s bookkeeping sole proprietorship. It will never be as recognized around the globe as Apple or Coca Cola are, but to my aunt and her clients, the business’ brand is imperative for ongoing success. As the idiom goes, “you are judged by the company that you keep”, and the same wisdom can be applied to an organizational or personal brand (in my aunt’s case, much of the business’ brand is made up of the associations with her actual person). Cast your mind back to 2013, and the damage that the Joe Fresh brand suffered (and is still defending against) when it was associated with the Savar Building catastrophe in Dhaka, Bangladesh. The unfortunate disaster stands as a reminder of how quickly a brand’s equity can be destroyed, and that the associations stakeholder make with your brand – both positive and negative – can linger for extended periods of time. 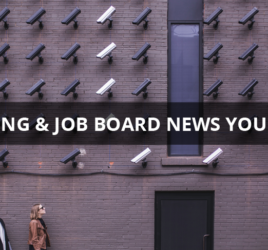 Noting that an organization’s brand as an employer is as important as ever, job board owners should be asking themselves whether they are doing everything they can to ensure that their board is a brand that employers wish to associate with. What segment or niche does your job board cater to? Do you cater to the hospitality industry (ahem…pun intended)? Are you dedicated to helping new graduates start their career? Whatever the case, building a strong brand involves understanding what you do and who you do it for. It also involves understanding what you don’t do – know when to draw the line, and don’t be all things to all people. As a job board with a strong, relevant and focused brand, you will better be able to attract and retain employers and recruiters as customers. Do employers see your board as a digital corkboard for jobs, or as a community? Digital corkboards encourage ‘one and done’ behaviour from job seekers. 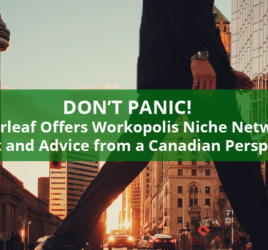 But employers know that a community of engaged and active users yield better results, especially if the board is able to attract passive candidates. Don’t let employers associate you with a digital corkboard! How is your board’s user experience being perceived by employers? Lots of clunky hoop jumping? Or an intuitive process that focuses on great experiences? 47% of job seekers report not applying for a job because of a poor application process, and employers may choose to post somewhere else if the site’s usability is inconsistent with what the brand wishes to convey. Is your job board a marketing channel? : Does your job board offer the right solutions to allow employers to portray their brand as they would like? As advsed by The Job Board Doctor, job boards are a channel for marketing, and the sooner job board owners recognize that, the better. By offering the means for employers to brand themselves on the board in a compelling way, combined with a strong and relevant brand from the board itself, the tandem has the potential to be quite powerful indeed.